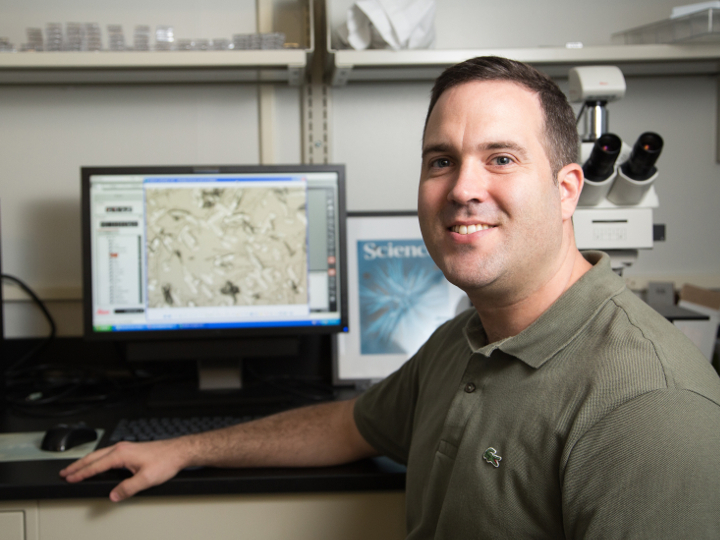 Jeffrey Rimer, associate professor of chemical and biomolecular engineering, has received the 2018 Norman Hackerman Award in Chemical Research. The award is given by the Welch Foundation to chemical scientists working in Texas and is designed to encourage the fundamental understanding of chemistry. It is named for Norman Hackerman, who served as chairman of the foundation’s scientific advisory board from 1982 to 2006. Rimer said the award is especially gratifying because of the foundation’s support for fundamental science. His lab has received funding from the foundation since 2012. Joseph Tedesco, dean of the UH Cullen College of Engineering, said it’s difficult to overstate the impact that Rimer’s work has had on the world. “Dr. Rimer is responsible for some of the most significant breakthroughs in the field of crystallization in the last few decades, but his equal devotion to teaching the next generation of innovators, problem-solvers and entrepreneurs is what truly makes him shine in his field,” Tedesco said. “This Hackerman Award is well-deserved recognition of the caliber and breadth of his work." The Welch Foundation, based in Houston, is one of the nation’s largest private funding sources for basic chemical research. Since 1954, it has distributed $866 million in research grants, departmental programs, endowed chairs and other special projects at educational institutions in Texas.